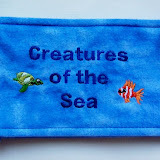 A while ago I purchased a Sea Life Applique design pack from Embroidery Library. 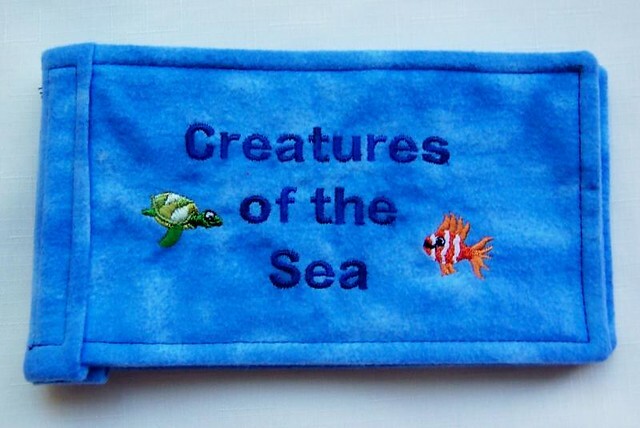 This pack includes 6 machine embroidered applique designs - pelican, sea turtle, shark, octopus and two different fish. I really liked the simplicity of the applique designs and thought they would be great for making various items for my newest nephews and nieces. Last month I decided to use the 6 designs to make a soft book for one of my nephews, who was celebrating his 3rd birthday. 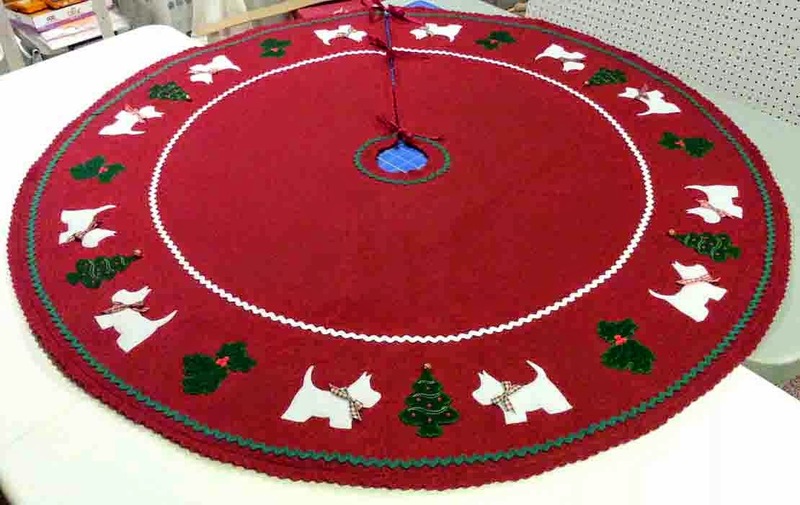 Using my 4D Embroidery Extra software and the lettering feature, I added the name of each creature to the design. Then I needed to select the applique fabrics for each animal. The pelican and sea turtle are simply scraps of fleece from previous projects. 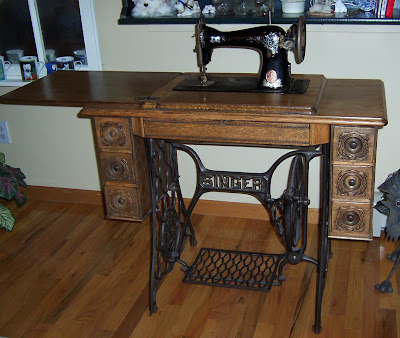 The octopus is a scrap of leftover purple flannel from one of the ragged edge quilt projects. The shark is a swatch of blue cotton fabric that I thought looked a bit "scale-y" and shark-like. 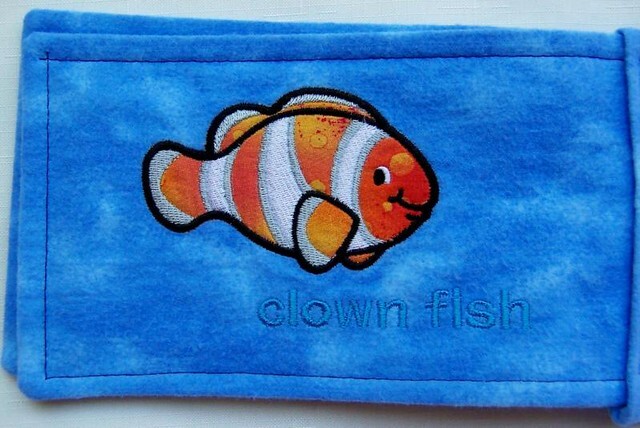 The two fish were the hardest choices; I finally decided on a scrap of orange batik style fabric for the clown fish, and attempted to cut the swatch in order to get the orange shading to look like the real fish. The blue fish has another "real" name that I can't remember 'cuz I'm not a fishy person (so I decided to call it a blue fish); this was also stitched on a swatch of batik style fabric. All the pages of the book and the binding were stitched on blue flannel that has a marbled (to resemble the water). Some of the lettering could have been done in darker colors so they would "pop" better against the blue ground fabric, so I'll probably change them next time. And if I have more time for the next book, I may try to add bits of seaweed or coral embroidery designs to make the pages more interesting.